The Wedding Party is taking place from 11am – 3pm on Sunday 25th March 2018 at The River Mills Ballroom, which is a brand-new wedding venue located in Selby (just 20 minutes outside the lovely city of York). It’s a fantastically quirky venue which modern couples who are looking for a venue that screams “urban chic” will LOVE! The building is a grade II listed building, with loads of period and industrial style features spanning over 5000 sq feet. 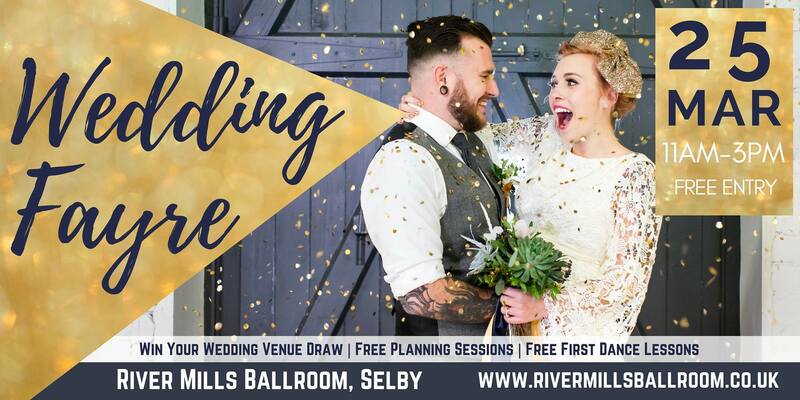 The River Mills Ballroom will be offering a variety of packages with a great deal of flexibility from dry hire to full coordination and is set to be the next big venue in Yorkshire! 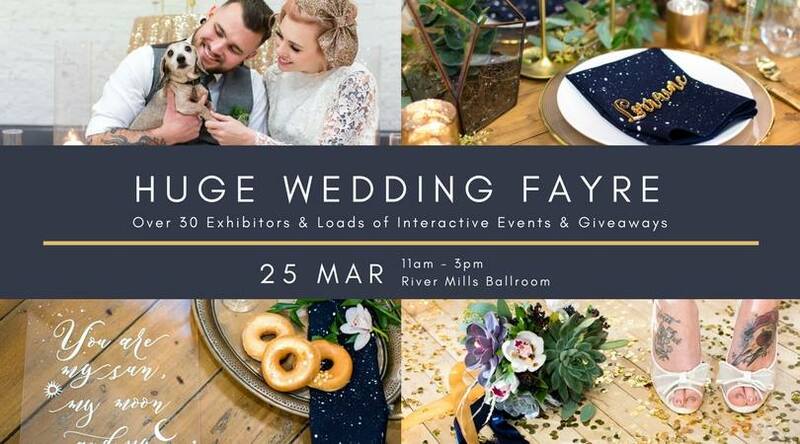 This wedding event is NOT one to be missed – you’ll have the opportunity to meet and be inspired by over 35 of the region’s most awesome wedding suppliers. There’ll be photographers, florists, hair and make up artists, decor specialists, a photo booth, cake designers, and SO many more different suppliers who would love to help you make your wedding totally one-of-a-kind! Not only that, but there’ll be free food and drink samples, free first dance lessons*, free wedding planning sessions*, demonstrations, freebies and lots more. And as if that wasn’t reason enough to come along, there’s also the chance to WIN your wedding venue hire** at the River Mills Ballroom too – wow! *limited spaces available – places must be pre-booked via the tickets section on Facebook or via Eventbrite. ** T’s & C’s apply – attendance at the event required.